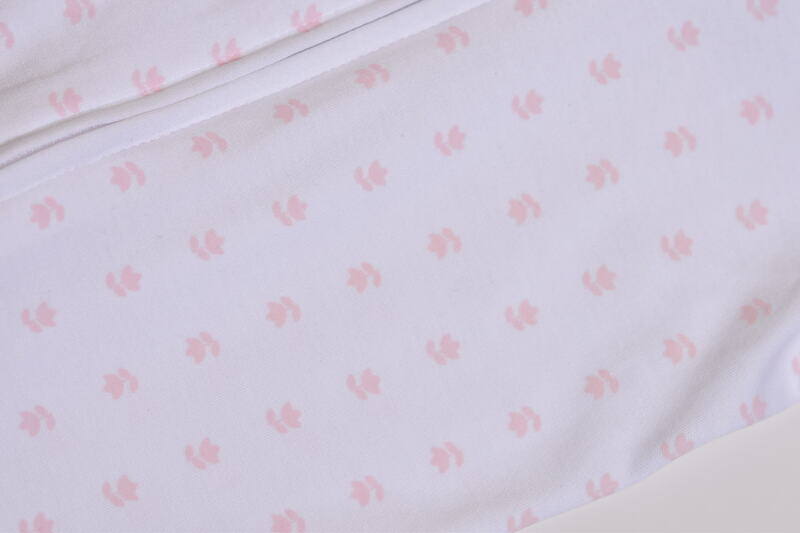 Zip down closure to keep your baby cozy even when changing. 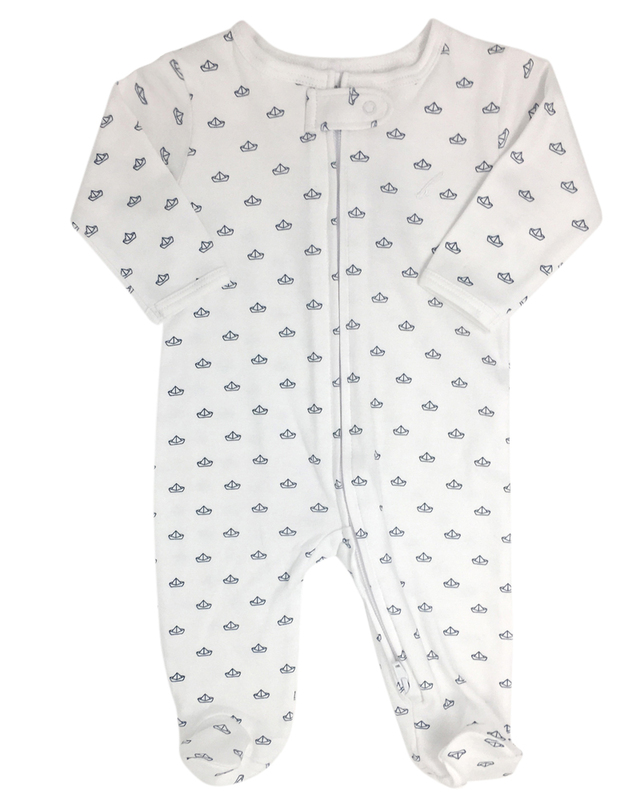 Made of 100% cuddly Pima cotton. 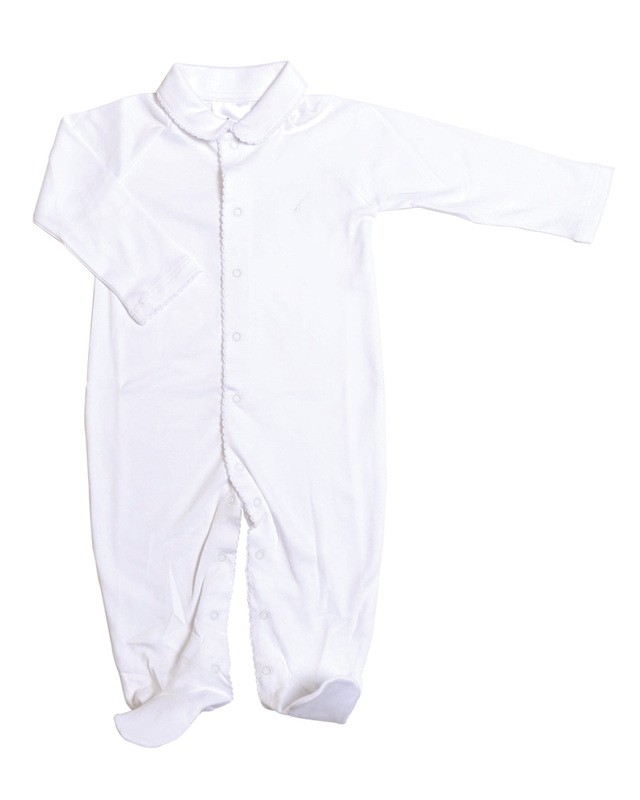 Available in sizes newborn – 18 months. 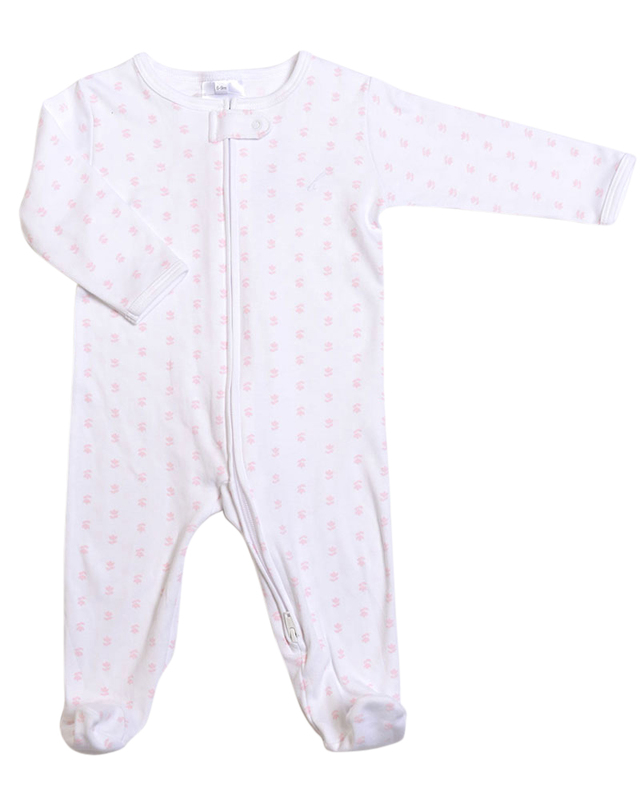 Delicate and fun zip-down footie with pink tulip print.100% Pima cotton.